This is a comprehensive set of fixes to bugs, crashes, and exploits found in Sid Meier's Alpha Centauri (SMAC) and Alien Crossfire (SMACX). The primary goal of this project is to fix bugs left after the official patches. A secondary objective is to expand upon the games features without modifying the existing mechanics to allow for more freedom. Feel free to host the installer somewhere else besides AC2, CGN, WPC or Apoly as long as the contents of package aren't altered in any way and the readme is included. I am busy with multiple commitments so updates come whenever I have time. One of those commitments is my work on another unofficial patch project for the classic isometric RPG Planescape: Torment. However, this project has mostly concluded. I have no problem with other modders building off of my work as long as credit is given. If you're interested in helping out in any capacity please contact me. I would like to add fixed versions of the localized text files to the installer, so if you're interested in working with me to update the French, German or some other language let me know! I encourage you to report any bugs, crashes, exploits or just ideas on either AC2 or CGN forums which are the two primary homes of this project. You can also contact me on WPC, Apolyton, CFC or SHS forums as well. While my work on this project will go on regardless, if you enjoyed this patch please donate a few dollars via PayPal link at the top. Install the game (original individual CD's, Planetary Pack, SOS, GOG). Next install the unofficial patch. While always applying the SMAC base files, the SMACX specific files will only be applied if SMACX has been installed. All of the official patches have been rolled into the installer. So once applied, you are getting the same effect as if you installed the SMAC 2000/XP Compatibility Update and if applicable SMACX v2.0 patch. Any files touched by the installer will be backed up to a new folder inside SMAC/X directory. Also, an uninstaller is created that will allow you to roll back any changes made. The installer can be applied to multiple SMAC/X installs on the same system without any conflicts. There are no issues with applying the installer to a portable install. However, there are a few minor fixes related to the registry and system font that will only be in effect on a system where the installer was run. [CRASH] Scrambling air interceptors could cause the game to crash usually on larger maps. Even when the game didn't crash, it would use incorrect altitude values. [CRASH] While moving units around near or at the poles, it is possible for the y coordinate to exceed the map bounds and crash the game. Add handling to prevent the y coordinate from ever going over the World Maps minimum or maximum values. [CRASH][MISC] Optimized out a number of legacy CPU checks that serve no purpose unless you're using an extremely old computer. In some cases, these checks actually prevented the game from starting on newer CPU's causing the game to crash. After removing these old checks, enabling ForceOldVoxelAlgorithm is no longer necessary. Disabling it may improve performance since setting ForceOldVoxelAlgorithm to 0 enables SMAC/SMACX to use your CPU's MMX capabilities for the voxel algorithm. [BUG][SMACX] The transport unit's special ability "Repair Bay" is rendered useless due to an incorrect check that would only give the healing bonus to ground transports inside a transport. Now, it will give the bonus to all ground units except ground transports. [BUG][SMACX] Enhanced probes are now able to mind control bases or units normally immune due to high SE morale as stated in SMACX manual. For units it's purely the morale SE value so >=3 acts as if it were 2 (cost doubled). For bases, the value is calculated from morale SE and any base facility modifiers (Covert Ops: +2, Genejack: -1). If final value is >=3, it acts as if it were 2. [BUG][SMACX] While loading the ambient sound file for game, there is a mistake in faction id check for Believers causing it to use SMACX default of "aset1.amb" rather than their correct ambient sound file "bset1.amb". [BUG][SMACX] Enhanced probes don't receive a penalty to survival probability when target faction has built Hunter-Seeker Algorithm. Instead, the success probability is erroneously given the penalty for a second time after it has already been displayed in UI. This could cause diminished success rate when it should have been higher. Fix corrects check so survival rather than success probability is modified. [BUG][SMACX] Sealurk units will now not get a movement penalty when moving through Sea Fungus the same as "Isle of the Deep". [BUG] If a faction's cumulative PROBE value is greater than three (SE morale, covert ops center) it is possible to "mind control" their bases when they should be immune. If the University uses SE Knowledge putting PROBE value down to -4, it would act as if it were 0 erroneously increasing "mind control" costs. After patch, PROBE values greater than 3 will always be immune to regular probes and values less than -2 will be treated as if they were -2. [BUG] Fixed a check that was ending the turn for certain air units (choppers/missiles/grav) when entering a base that had no adjacent enemy units. The unit's turn will now only end if when entering a base it has less then one turn remaining with no enemy units adjacent to the base. [BUG] Using "Go to home base" command (shift-g) sends the unit to closest base rather than it's actual home. Fixed so now the game retrieves the unit's home base and sets a "go to" waypoint similar to how a unit is recalled from within the base UI. If a home base cannot be found say if the unit is independent then the unit will go to the nearest base. [BUG][EXPLOIT] Setting more than one patrol waypoint for a unit with the spacebar causes the coordinate values to be stored incorrectly. If only two waypoints are set then it is just a display issue showing an incorrect amount of waypoints when the unit is clicked. However, if three waypoints are set, it causes the unit's morale to be set as one of coordinates usually boosting it to elite or demon boil status. Also, when three waypoints are set the final waypoint would get set to some far off random location usually (0,0). [EXPLOIT] Using the right click menu to airdrop a unit moves the unit instantly and bypasses all of the required condition checks such as if unit has already moved or in a base or an airbase. Fixed so airdropping via right click now goes through same condition checks as if you used the hotkey "I". [EXPLOIT] Inside the base UI, after opening up the production queue window it is possible to then open the hurry command window, switch between bases and complete projects for less then their actual value. An issue with the queue panel is now fixed preventing certain parts of UI from becoming clickable when they shouldn't. [EXPLOIT] When clicking on an unexplored square, the map should recenter on that square. However, if the square contains a base the map doesn't recenter giving away hidden bases. Fixed so when an unexplored square with a base is clicked, the game will recenter like any other square. [EXPLOIT] It is possible to change another faction's workers via "Base Ops" (F4) if you have that faction infiltrated. It is now fixed so clicking the citizens of another faction in "Base Ops" has no effect similar to garrisoned units. [EXPLOIT] It is possible to give the airdrop or artillery ability to a unit who didn't already have it. This is done by using hotkey (I or F) on a unit that has the ability then switching to a different unit in bottom center window. The mouse cursor would still have the airdrop or artillery action ready to go and it is then possible to use it with the new unit bypassing any checks whether this unit can use the ability. Fixed by resetting the cursor when clicking the unit selection window. [MOD] Squares with both a Borehole and nutrient bonus don't receive the nutrient bonus. If the "Borehole Square" nutrient value defined in alpha/x.txt under #RESOURCEINFO is set to non-zero, a square with a Borehole will erroneously act as if it has a nutrient bonus. The check whether or not to give a "Borehole Square" a nutrient bonus is now fixed from checking if borehole nutrient value is non-zero to checking if nutrient bonus is actually present in the square. [MOD] Fixed a check to use the "Max artillery range" value defined under #RULES rather than a hardcoded value of 2. It is already set to 2 by default in alpha/x.txt. [MOD] Increase maximum number of all units on a map from 2048 to over 2 billion (2147483647). Also, increase value when native life stops spawning due to number of units on map from 1792 to 2147483391 (same difference of 256 between original values). NOTE: Removed as of v2.00 due to problems with fix. [UI] Removed a check when displaying probe success and survival probabilities that would drop the display of one if they're both the same. For example, (50%, 50%) would just be (50%). This change makes the interface a little less confusing. [BUG][MISC] On launch of the game, fixed a registry check that could cause an error message to be incorrectly displayed regarding a "Complete Install" not being performed. This was due to permission issues relating to UAC (Vista, Win7, Win8). [BUG][EXPLOIT] Units without the "Amphibious Pods" ability can no longer move to a land square from a ocean base without there being a transport in either the land square or the ocean base. The previous buggy behavior would allow the unit in the ocean base to move to the land square as long as there was any existing unit in that square. [BUG][SMACX] Prevent the Caretakers from being given the oppertunity to build the Secret Project "Ascent to Transcendence" which goes against their philosophy. If completed, they would declare war on themselves and get a Transcendence victory. [BUG][MOD] You can now evict probes from squares that have more than one probe or other units in the stack as long as the probe is the top most unit. When evicting, only the top most probe is sent back to its own faction's territory. [BUG][SMACX] After the AI successfully completes the probe action of freeing a captured faction leader, it would instead reset a non-captured faction. The problem was that AI would always try to free the first faction, usually being the PC, regardless of whether this faction was eliminated or not. Now it will obtain all the potential captured faction leaders and free one randomly. [BUG][MOD][SMACX] Add references for the use of a new file "movlistx.txt" to allow for expansion specific information text to be displayed after a Secret Project movie has been played. [MOD] The "Nessus Canyon" landmark is now placed when generating random maps. [BUG] The "attacking along road" combat bonus is now correctly applied for combat taking place on roads or magtubes. It is set to 0 by default in alpha/x.txt. [MOD] There are a number of unused pcx image files in relation to the random script event near a base of whether new resources are discovered or existing ones are depleted. The game will now display one of twelve images depending on the square (land, ocean) and resource type (minerals, energy, nutrients) instead of showing a general warning image for every event. [MOD] As part of the Datalinks, add the ability to set individual entries for armor and reactors (help/x.txt) as well as enable the display of the "Sea Formers" unit. [BUG] Fixed a bug where a "Planet Buster" (PB) could detonate after being initially shot down. Each faction has one chance to defend against an incoming PB if they have bases or units in the blast radius. However, there is a check to give the owner of the ground zero square a chance to defend against the PB even if they have no units or bases in this territory. This check didn't take into account whether or not the PB had already been shot down by another faction. [BUG][SMACX] When another faction detonates a "Fungal Missile" near one of your bases, sometimes a script message would use an incorrect faction name as part of the text. [BUG][MOD][SMACX] When detonated in or near ocean squares, "Fungal Missiles" could spawn "Mind Worms" or a "Fungal Tower" in those ocean squares that would then die instantly after the end of turn. Now, a native sea unit will spawn in their place like an "Isle of the Deep" or a "Sealurk". [BUG] Fixed an erroneous message that the use of nerve gas caused massive casualties at a base even when the attack failed. [MOD] Added the ability to set the reactor type (1-4) for #UNITS inside the alpha/x.txt. To do so, just add a comma after the Abil field with the value of the reactor you want for the unit. As an example, "Colony Pod,..., 00000000000000000000000000,4" will give all "Colony Pods" a Singularity Engine. If no value is set, it defaults to "1" like original code. For SMACX only, there are two exceptions for "Battle Ogre MK2" and "Battle Ogre MK3" where default isn't "1" but "2" and "3" respectively. You can still override the Ogres default. [BUG] "Colony Pods" or "Sea Colony Pods" can now be added to existing bases where fungus has spread to the base's square. Also, ignore restrictions regarding land or ocean squares when adding pods to existing bases. [BUG] Due to an incorrect check, a message would fail to display telling you that a transport with no units has nothing to disembark when moved into a non-base land square. [BUG] Changing start date for Perihelion event to be 2160 from 2190. This is to be consistent with info about Planet and cycle from readme regarding 80 year cycles (20 years near, 60 years far). [CRASH] Under extremely rare circumstances, the game would crash when an AI faction with no bases attempted to upgrade a unit. [BUG] Abandoning a base after building a "Colony Pod" no longer skips the base production of the next base in line. This was caused by the upkeep function using incorrect base values after the abandoned base was destroyed. [BUG] Non-amphibious units can now move from a transport into Pact sea base since movement to and from Pact bases should be identical to your own. [BUG][SMACX] Interludes #6 and #7 would display incorrect string values specific to either the Caretakers or Usurpers for non-Progenitor factions. [BUG] Interlude #6 would sometimes be triggered by native life forms causing issues with the display strings and not making sense. This interlude (and its follow up #7) are designed only for actual rival factions. [BUG] Fixed the rendering of the menu when using the scenario editor to change the faction id of the former owner of a base. [BUG] Fixed the CC/BP combat bonus bug. [BUG] Fixed the parsing of the "Retool strictness" value in alpha/x.txt so "Never Free" works correctly. This would only apply if you wanted to give a retooling penalty when switching to "Secret Projects". [BUG][MOD] Factions with the FREEPROTO flag (Spartans) will gain free retooling in their bases as long as the production switch is within the same category (unit to unit, base facility to base facility) and they've discovered the necessary tech ("Advanced Subatomic Theory"). This is to resolve the issue with FREEPROTO factions never being able to gain the undocumented retooling ability of "Skunkworks" when it is fairly clear that they should. [EXPLOIT] Using the right click "Save current list to template" and "Load template into list" features of base queue can be used to bypass retooling completely. Fixed so these queue template features only save and load the actual queue and not affect the item currently in production. [BUG] When drilling an aquifer, there isn't a check whether a river already exists in the initial square. Now, it checks the the initial square as well as the eight square around it. [BUG] Fixed an issue where diplomacy dialog could be incorrectly displayed due to faction id value being set incorrectly. This best exhibited where Progenitors switch into "Human" dialog syntax. [BUG][MOD] Overhaul of all text files correcting spelling, grammar and various formatting issues by Guv'ner. See his projects readme for more details since the changes are too numerous to be mentioned beyond the highlighted bug fixes below. Also, as part of this an update fork of GooglyBoogly's Datalinks v1.3 is included for SMACX. [BUG][SMACX] Fixed the display of an image used for Fungal payloads script events by renaming fungalpayld_sm.pcx. [BUG][SMACX] Fixed the display of an image used for script events when Progenitor factions capture a human base by renaming humref_sm.pcx. [BUG][SMACX] Fixed the display of an image used for Spore Launcher script events by renaming sporelnch_sm.pcx. [BUG][INSTALLER] Create a registry entry that is usually missing to suppress the "CDNOTFOUND" warning message on launch. 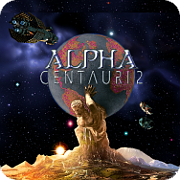 [BUG][INSTALLER] Register the SMAC "Alpha Centauri" font with Windows so the game credits are displayed correctly. [MOD] Add new versions of Arial font to SMAC directory that will be more compatible with more recent monitors. If you notice graphical issues with the in game text, revert back to original font found inside backup directory. [BUG] Add netcr_sm.pcx that was missing for a script event when a Network Node crashes. The image was taken from the Planetary Pack's Alternative Art folder with scan lines added by BU. [BUG] Add rdminldp_sm.pcx that was missing for a script event regarding minerals being depleted in conjunction with an engine fix. The image was taken from the Planetary Pack's Alternative Art folder with scan lines added by BU. [BUG] Fixed an audio clip for when Network Node is already linked from repeating itself by adding fractional amount of silence to end of clip. [BUG] Fixed an audio clip not playing when Missile Launcher weapons are used by remixing from stereo to mono (edited by chuft). [BUG] Fixed an audio clip not playing when Singularity Laser weapons are used by remixing from stereo to mono (edited by chuft). So far beyond a few, all of the patches to the exe are done by myself. Thanks goes out to WBird784 for his crash fix and kyrub for his two fixes. A special thanks goes out to Guv'ner for his overhaul of all the text files. I'd like to thank a few people for their work behind the scenes. First off, a big thank you should go out to vyeh for the work he's done in overseeing the administrative aspects of project. He has definitely helped motivate me by keeping in contact and setting up community at CGN for this project. Another big thank you goes to buster (the owner of CGN) for providing dedicated forums for project and being willing to host the unofficial patch. chuft for helping moderate and organize project forums on CGN. Darsnan for making playtest scenarios used in testing of fixed game mechanics. GooglyBoogly for his Datalinks update and comprehensive testing of patch changes. BlackCat, BU, ete, Flygon, Googlie, Illuminatus, Kilkakon, Lord Avalon, Mart, Nevill, Petek, Psyringe, Rubin, AC2 forums, WPC forums and anyone else who has reported bugs, given feedback and support to this project. Qwinn for letting me use the html shell of his readme. And of course to the developers of SMAC and SMACX for making two great games that are still being played even to this day! Companions the creator seeks, not corpses, not herds and believers. Fellow creators the creator seeks?those who write new values on new tablets. Companions the creator seeks, and fellow harvesters; for everything about him is ripe for the harvest.